Writing fear happens. 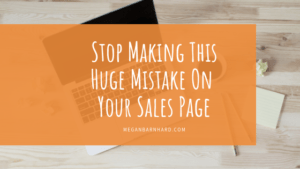 It’s unavoidable, like pimples and phone calls from telemarketers. But you don’t have to let writing fear keep you from publishing your brilliant ideas. 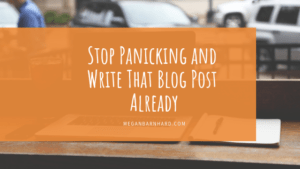 Here are five of my favorite ways to take action in the face of writing fear so you can hit publish — whether you’re working on a book, a story, a blog post, or content for your website. Speaking of pimples… Have you ever tried to cover up a really big one? I have a vivid memory of being in middle school and trying to cover up giant zits without any success. I would put on loads and loads of concealer, foundation, toothpaste, and whatever else I’d heard would do the trick. Result? Drawing way more attention to the pimple and making sure it lasted longer by irritating my skin. That’s what it’s like to deny fear. We actually give it more energy and make the situation worse. Say hello to your fear. Acknowledge it. That might be enough. It might remind you to take a big breath and begin anyway. If not, use some strategies to calm your body so that fear doesn’t take over. Don’t try to stuff it deep down inside where it will eat away at your insides and turn into terror. Fear is just like that pimple. If you try to cover it up, it will come back three times as big and bring friends. If you’re feeling the fear as you sit down to write, congratulations! It means you’re stretching yourself. I bet you don’t get fearful before writing a grocery list or a text to your BFF. When you do feel fear around writing it means you’re exiting your comfort zone and taking a step toward somewhere new and exciting in your writing. Sometimes the best way to take power away from fear is to call in a stronger emotion. The only reason I wrote it and published it at all was because of white, hot rage. One day I got a call from a friend whom I’d given some writing advice. He told me that I had given him 5 ways to create characters, and that if I’d just give him one more, he’d have enough to create a die for the story game he was developing. Yup, you read that right. Not only was he unabashed about the fact that he was going to use my ideas for his game, but he was even asking me for another idea! I got off the phone confused and hurt. Then, the anger began to bubble up. How dare he! I wasn’t about to let someone else put my ideas out into the world. 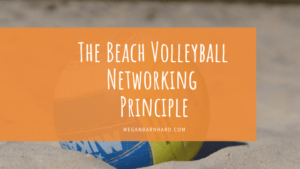 I decided right then and there to write a book containing the writing strategies I’d been using with coaching clients — and giving away to friends. The fear was entirely swallowed up in stubborn determination. I bought a book about how to write a nonfiction book and publish it on Amazon, and 30 days later I had my first draft. What will you miss out on if you don’t write your idea and share it? 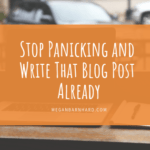 What will it feel like if someone else writes the blog post you’ve been thinking about for ages? 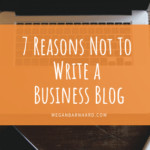 How will you feel if you write your book but you never publish it? What can you get all worked up into a lather about so that your fuming anger trumps your fear? It definitely remained available if I needed it. If I ever thought of changing my mind. And it acted as a timer: I wanted to move quickly so that I could be the first to bring my ideas to the world’s stage. 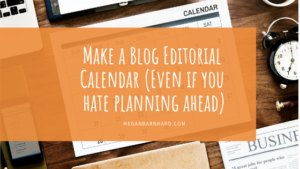 What kept me going each day that I showed up to write was the fact that I had a plan. Even though I’d never published a book before, I knew other people had. I looked around for a guide. And when I found Steve Scott’s How to Write a Nonfiction eBook* in 21 Days (*That Readers Love), I devoured it and faithfully followed the 40+ steps in his printable checklist. I trusted in the plan and it led me to success. 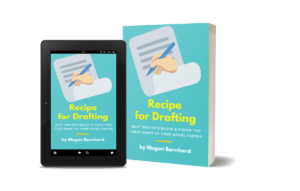 Once I’d finished a draft, I hired an editor from a freelance site and trusted in the plan she set out for me to take the first draft to a final draft that was ready to publish. The knowledge is out there. Anything and everything you need to know about writing can be learned on the web. Since we all get overwhelmed by too much knowledge, I recommend following one book or one course or one plan at a time. Don’t go crazy trying to learn All.The.Things. Choose a resource that speaks to you, follow it, and trust in the plan. If you’re a human being, you’re afraid of more things besides getting your writing out there. And I bet one of the things you fear is letting other people down. Sometimes this fear is a real buzz kill. We put others before ourselves and forget to eat, sleep, or go to yoga. But sometimes the fear of letting other people down is just what the doctor ordered. So find some writing buddies, declare your intention, and be held accountable. When I wrote my first book, hiring an editor was the best thing I did! Yes, she gave me a plan to follow so I could revise. But she also became an outside source of accountability. There was no way I was going to fail to publish now that I’d told this stranger I was going to. Added bonus: Even though the editor I hired was very affordable given standard editing rates, it was a HUGE leap of faith for me to hire her. I had no idea whether my book would make money; all I knew was that I was going to publish the best book I possibly could, and that meant having it professionally polished. Having “skin in the game” added an extra dose of “not going to give up” for me. The combination of positive peer pressure from telling your friends about your project and putting a financial investment into the project will completely change how you relate to it. When the fear starts to bubble up and makes quitting look pretty darn good, you’ll find yourself more afraid of letting down the people you’ve committed to — including yourself and your checking account! 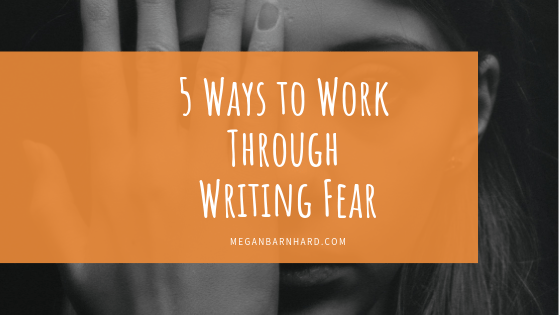 How will you work through writing fear? Absolutely excellent advice! I hadn’t thought about it in the context of writing, but I use all of these sometimes, and the “Mad” one especially. I go from “How dare you!” to “I’ll show you!” pretty quickly and it fuels my next actions. That usually includes the plan, too. Thanks for this, Megan! I hadn’t thought about it in the context of writing, but I use all of these sometimes, and the “Mad” one especially. I go from “How dare you!” to “I’ll show you!” pretty quickly and it fuels my next actions. That usually includes the plan, too.